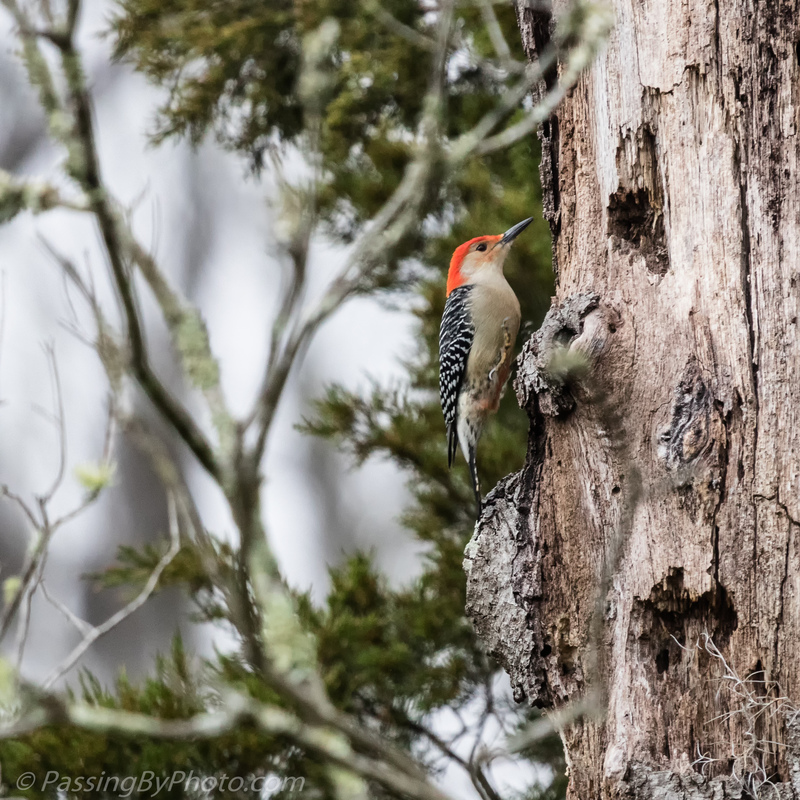 This Red-bellied Woodpecker was not the first to check out this dead tree. The trunk is full of holes and most of the limbs are gone. He must not have found anything interesting as he quickly moved on. Such a sweet little bird, very nice! Thanks, Belinda! I was happy to get this clear view of the limbless dead tree. 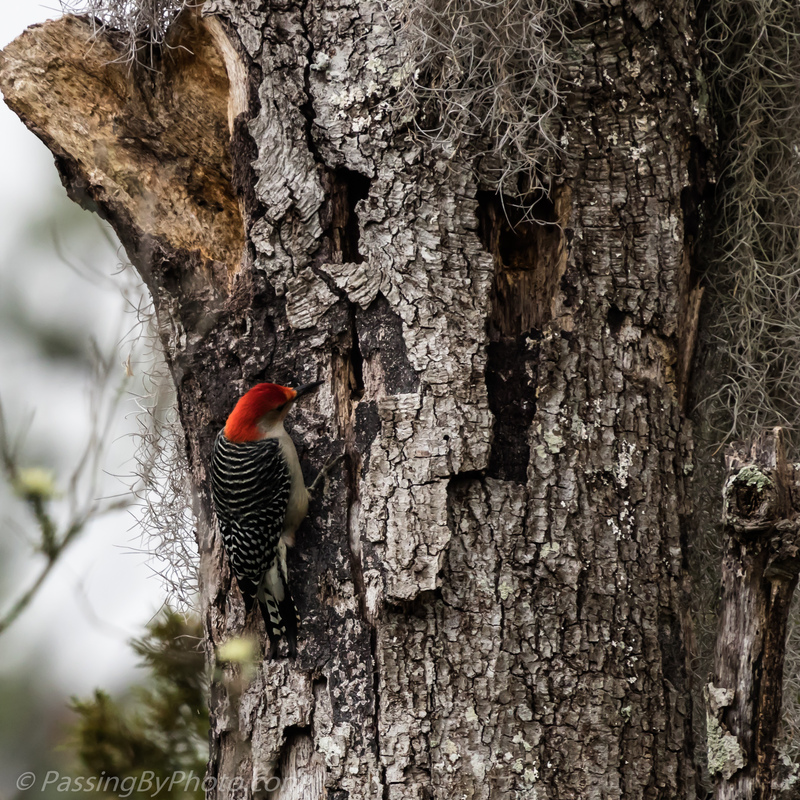 What a pretty woodpecker! Would be fun to paint. They are pretty but not too flashy. I have zero painting skill so I can’t say it would be fun, but I’m sure he’d make a good subject. Great sighting and capture, Ellen! Thanks, Donna. I’m always happy to see any kind of woodpecker! What a beautiful woodpecker. The red colouration really stands out! They are beautiful and one of the first birds I learned to identify because of that red!